This Does Not Equal Kwe & Decolonize Gender 2017 / In the Gallery 101 bathroom. 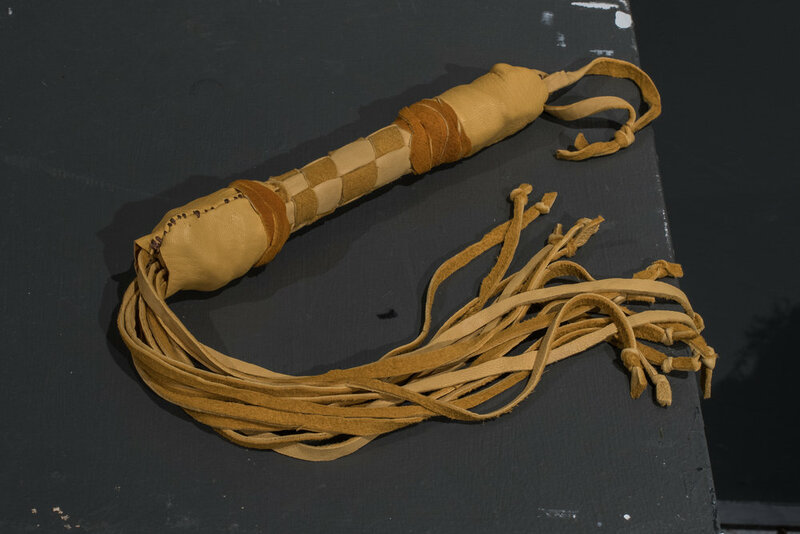 This Does Not Equal Kwe & Decolonize Gender, 2017 / In the Gallery 101 bathroom. 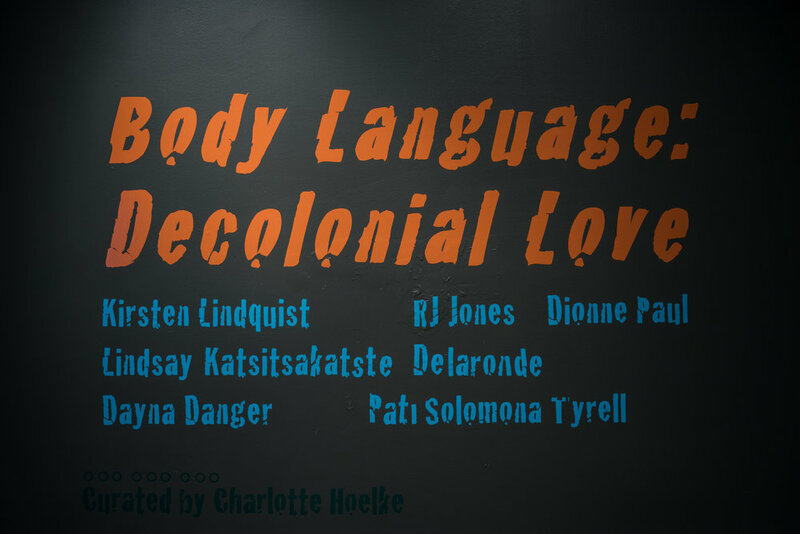 Recently, I got an amazing opportunity to participate in an awesome exhibit in Algonquin Territory (Ottawa) called Body Language: Decolonial Love which was curated by Charlotte Hoelke and hosted at Gallery 101 through the Asinabka Film & Media Arts Festival. 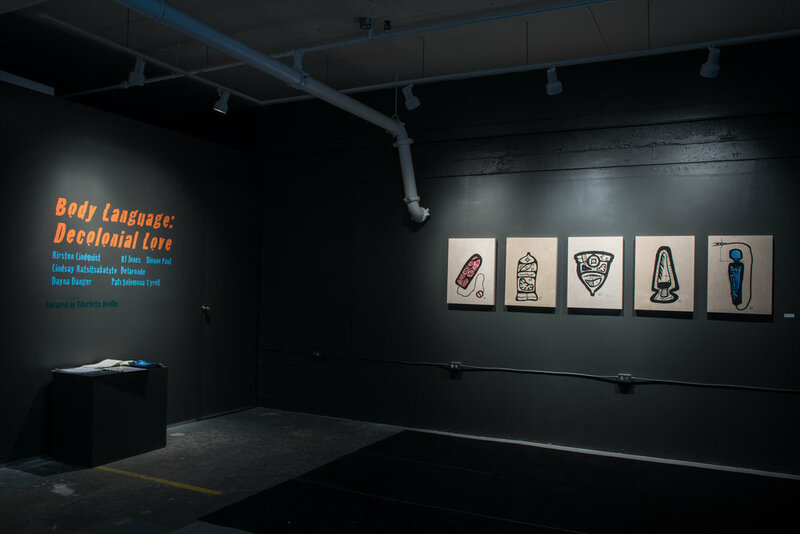 It had a heavy focus on art that focuses on sexuality. I've finally gotten around to posting the set of photos that were taken by David Barbour. 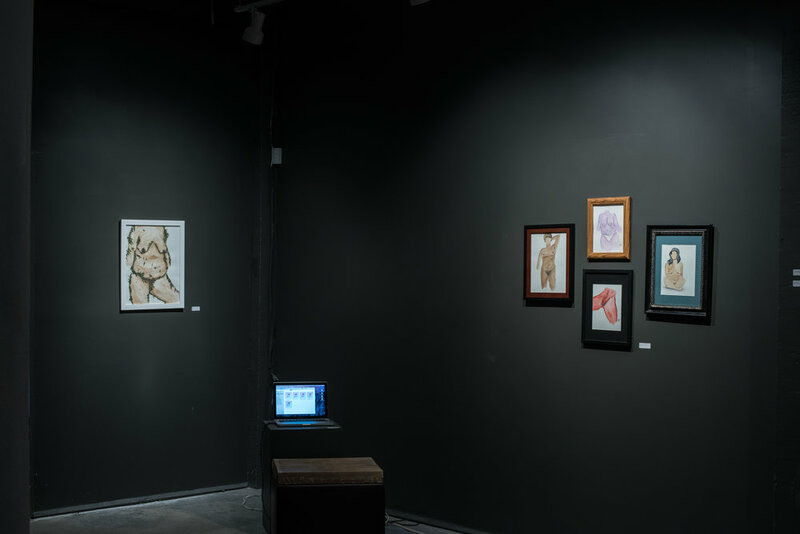 Here you'll see photos of the art that I featured. Enjoy!